Among Gigi Hadid’s stunning features, her brows remain one of her best — always defined and groomed but seldom over done or severe. The supermodel’s eyebrows prove the perfect lowkey touch to a glam vibe. Given her many genetic gifts, it would seem that perhaps it was just nature that rendered her eyebrows so enviable — until now. 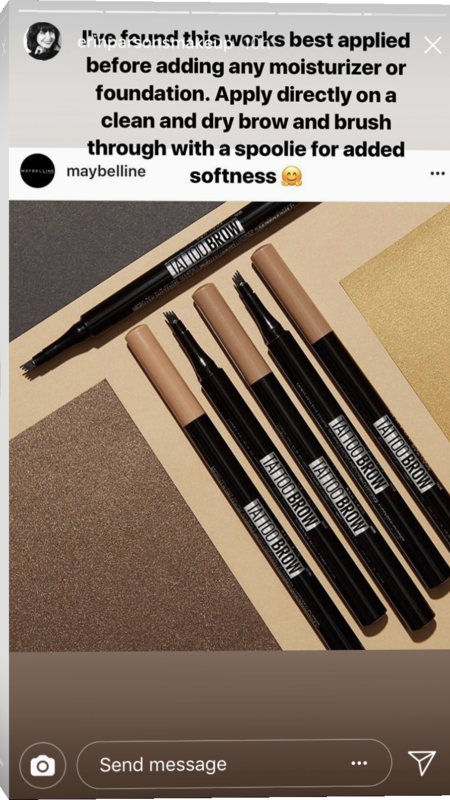 Hadid’s makeup artist Erin Parsons shared her secret formula to defining and shaping the supermodel’s brows while still keeping them natural in her Instagram Story n Sunday, June 10. 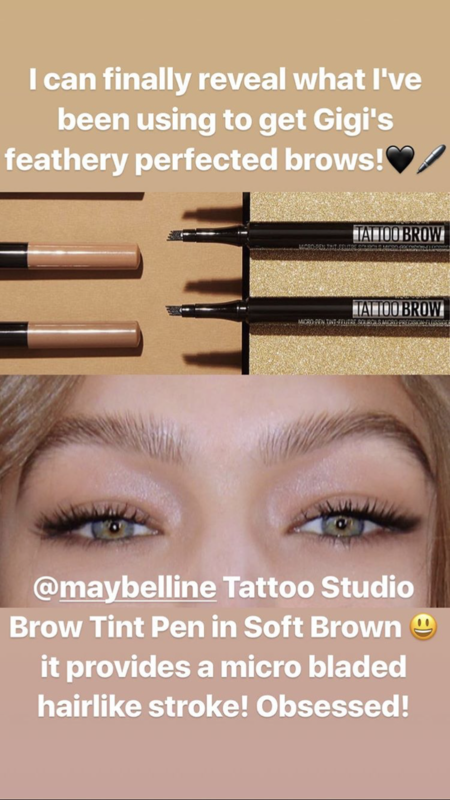 The product Parsons uses to define the beauty’s brows is the Maybelline Tattoo Studio Brow Tint Pen in the shade Soft Brown. Parsons explains that this goes on with a micro-bladed-like hair stroke that looks uber natural (meaning full but not overly defined or severe). But even better, Parsons also explained her trick for using this product to get the most natural and chic look possible. She explains that instead of prepping the skin before applying brows, this product actually works best before adding moisturizer or foundation. “Apply directly on a clean and dry brow and brush through with a spoolie for added softness,” she writes. Parsons often shares details about the beauty looks that she creates for the Maybelline brand ambassador. Just last week she revealed the lipstick she used to create Hadid’s nearly-neon red lip for the CFDA Awards. At this rate, we’ll have all of Hadid’s secrets courtesy of the Maybelline creative in now time.